Regis ‘The First´ Sugden has been forced to withdraw from his next fight, scheduled for Saturday 14 May at the Barclaycard Arena in Birmingham, due to injury. 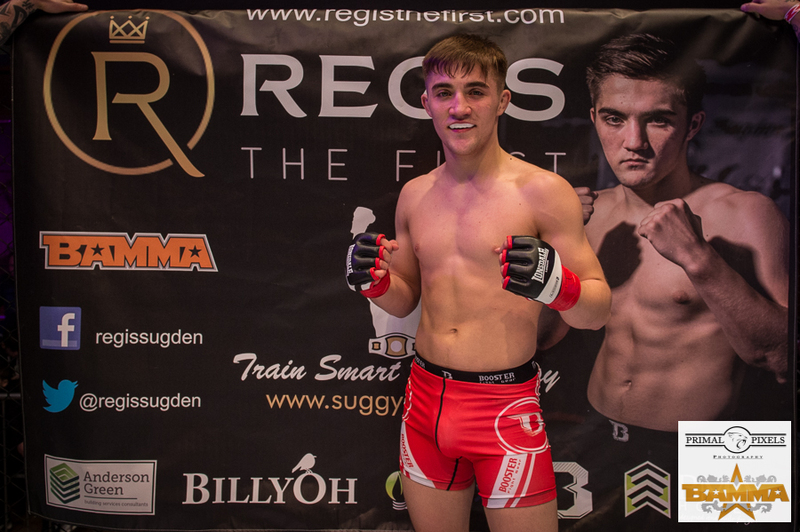 The Suggy’s Gym MMA star was set to appear on the card of BAMMA 25, making his debut in the featherweight division after four explosive pro appearances as a bantamweight. However, there is some good news for disappointed fans who were planning to make the trip to Birmingham to see Regis fight. Older brother Chad ‘2 Slick’ Sugden, who makes his Super Middleweight pro boxing debut this month, has already been offered a second match-up in Walsall on the same night, Saturday 14 May. “When you’re used to training twice a day, six days a week, as well as sparring on a regular basis, it’s obviously very frustrating if something interferes with your schedule,” said Regis. “Although you can usually work around most injuries, when you’re preparing for a fight you need to be at the top of your game so when it came down to it, withdrawing from this one was our only option. “It’s been five months since my last outing, on BAMMA 22, and I’ve really been looking forward to getting back in the cage. The chance to show what I can do in a heavier weight class was even more of an incentive for me so of course I’m disappointed by how things have turned out.